This entry was posted on April 5, 2015 by Heather. 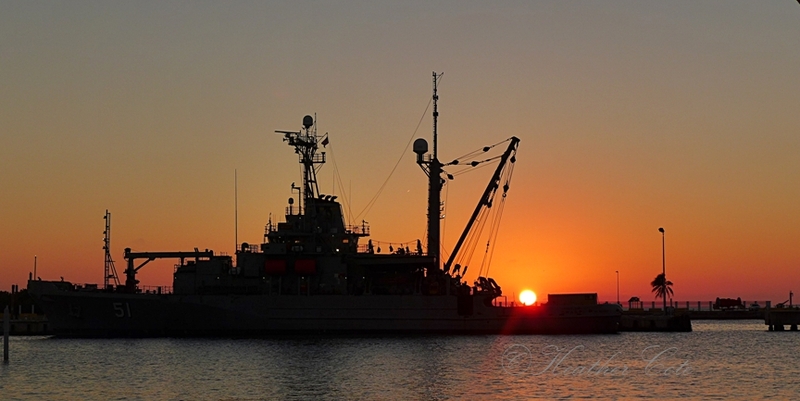 It was filed under florida, key west and was tagged with coast gaurd, dark, Heather Cote Photography, key west, navy, ocean, sunset. have you been Fabio…I very much enjoy visiting there! I was there the middle of January this year. awesome…I’ve done that as well a number of times! Love staying in Key West as well as the drive to and from…but you know it isn’t for everyone, I’ve spoken with people who don’t have as positive opinion as you and I do. Oh well their loss. Have a great day. I would also like to take some time to explore other parts of the Keys, but when I’m on the way to Key West we don’t want to take the time…we are so eager to get there…we always say someday we will and I’m sure we will! My Mother used to stay in Ilsamorada and Marathon…they enjoyed both very much. Yes, spring is slow, but not too bad today! Take care…H..
gotta love a sunset! 🙂 thanks! thank you Laura…don’t you love a sunset? one of my favorite things. How are you Heather? Its been a while. Are you still making jewelry?